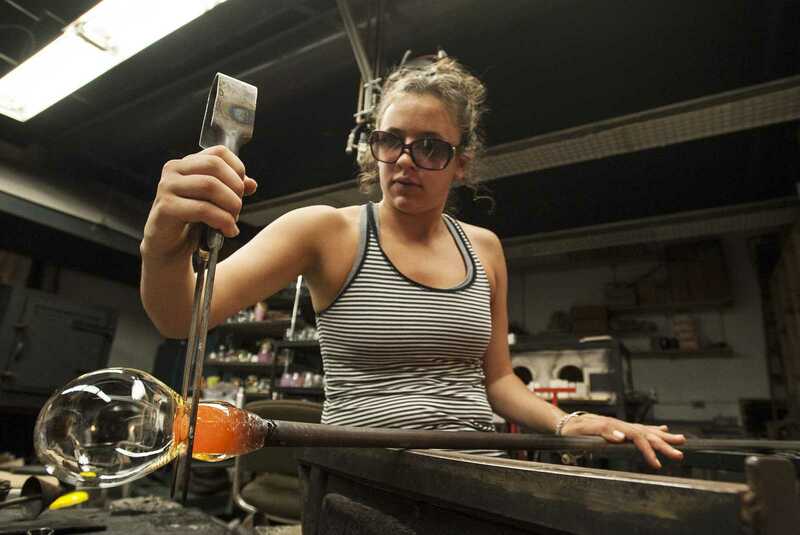 SF State’s College of Extended Learning glass blowing class, created in 1972, is the third oldest continuous glass program in the US. Three weeks ago,College of Liberal and Creative Arts Dean Paul Sherwin told Instructor Nate Watson of the class’ termination after Fall 2013. Sherwin reasoned the decision was made because the department needs more classrooms, the class has low enrollment of art majors and has high materials’ fees for students which cannot be covered by financial aid. Although the class is expensive ($993 for the class, $298 for materials), it is popular and over-enrolled. Instructor Nate Watson appreciates that his class has a diversity of students—undergraduate animation and kinesiology majors, professional computer scientist and BART controller to name a few—which makes for a dynamic experience. A Save SFSU Glass rally will take place at Malcolm X Plaza today at 2 p.m.